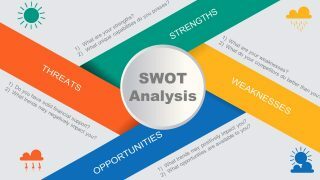 SWOT Analysis is widely used in marketing and business presentations. 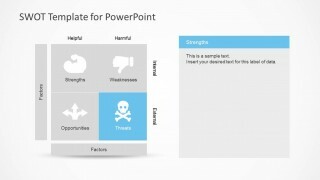 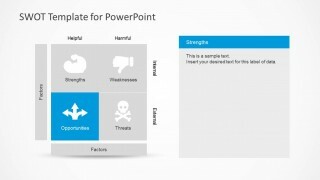 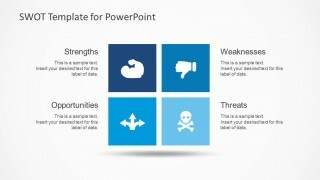 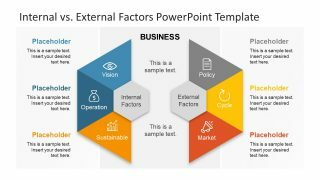 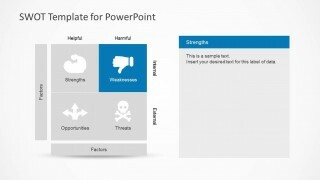 This simple SWOT analysis template for PowerPoint can help to present your business internal and external factors: strengths, weaknesses, opportunities and threats in a PowerPoint presentation using a nice combination of colors and illustrations identifying each factor. 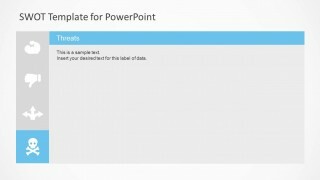 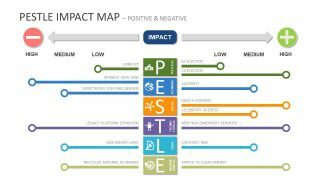 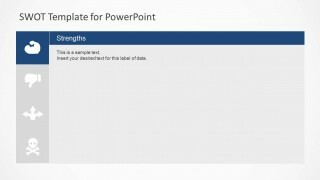 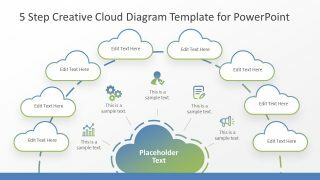 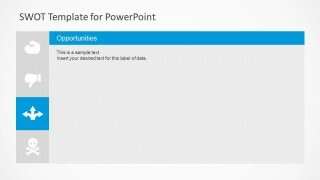 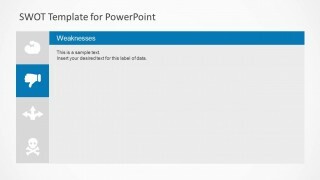 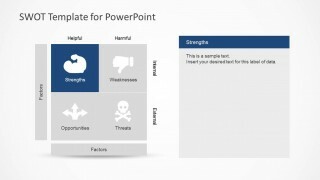 Alternatively you can download other SWOT Analysis templates for PowerPoint presentations including business slide designs and presentation design templates.